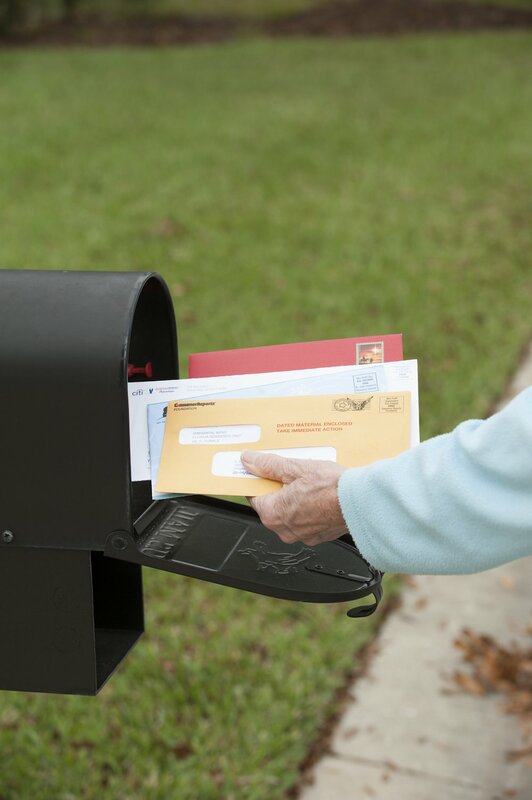 When you send a letter through the U.S. mail with a stamp and a delivery address, you can be fairly certain that your letter is going to arrive safely in a few days. This isn’t always the case with email. While you shouldn’t run into many email deliverability issues if you are following best practices and sending high-quality content to your mailing list, there’s always the possibility of being added to a blacklist or facing some other email deliverability issue that will cause a percentage of the messages that you send out to not be delivered or be redirected to subscribers’ spam folders. For this reason, it’s important to follow best practices and proactively monitor your mailing list for any issues that might hinder the deliverability of your messages. In order to make sure that every message possible makes it in the inbox of your subscribers, you should always use an email service provider like MailChimp, Drip or Aweber. If you run your own mail server, you are likely to make configuration mistakes that will reduce your delivery rates. You will need to find your own mailing list software and you will also have to actively monitor the reputation of both your sending IP address (the internet address that your email delivers from) and your domain name. Use an ESP and let them handle all of this technical infrastructure. They will make sure you are following best practices to make sure that your messages actually get in your subscribers’ inboxes. If you are paying less than $250.00 per month for your email service provider, know ahead of time that you might not be getting the best support in the world. ESPs make their real money from selling enterprise plans to large customers. They aren’t always concerned with keeping people that have $25.00 or $50.00 per month plans happy with their services. You will typically receive the level of service that you pay for. If you are on a lower cost plan, know that you will need to take a more active role in monitoring and managing your email deliverability rates. It can also be a good idea to have a back-up email service provider in place. ESPs can shut your account off without notice if they believe you are spamming or if you inadvertently break another one of their rules. While this is a rare occurrence for most email service providers, it’s always good to have a “Plan B” ready to go if your account gets blocked. Have a low-tier account setup with a second email service provider that allows you to import your mailing list from another provider. Finally, make sure to make regular backups of your mailing list from your ESP so that you can move them to another provider if your account gets suspended. Email is a technology that was first developed in the 1970’s. At the time, spam, viruses and fraudulent emails weren’t an issue. The technical specification for email makes it very easy to fake the email address and domain name that sends any given email. As the volume of spam and other fraudulent email has mushroomed, the Internet Engineering Task Force (IETF) has developed additional protocols that use your domain’s DNS records to verify the origin of an email. The three major protocols that have been standardized by the IETF include Sender Policy Framework (SPF), DomainKeys Identified Mail (DKIM) and Domain-based Message Authentication, Reporting, and Conformance (DMARC). Internet service providers and other mail providers actively look for DNS entries that correspond to these email verification protocols. If your domain name does not have SPF and DKIM records set up or if they are set up improperly, mail providers will often put your messages in your subscribers’ spam folders. If they find other things that are wrong with your email or see that the IP address that sends your email is on a blacklist, they may not deliver your messages at all. You may or may not need to set up SPF records for your domain name depending on how your email service provider is set up. Many ESPs will send email using one of their domains, which allows them to automatically add SPF, DKIM and DMARC records without any intervention on your behalf. You will want to read your email service provider’s documentation about SPF and DKIM records to determine whether or not you need to manually add SPF and DKIM to your DNS records. If you are paying less than $100.00 per month, your ESP is probably sending mail using one of their domain names on your behalf. If you are using a high-end plan and your ESP supports what’s known as white labeling, you may need to add SPF and DKIM records to your domain’s DNS records. Sender Policy Framework, better known as SPF, is an email validation technology. It detects mail spoofing by allowing ISPs and other email services to verify that any given email from a domain name has been authorized by the administrators of that domain name. A domain owner will publish a list of IP addresses and other domains that are authorized to send mail on behalf of a domain as a specially-formatted text DNS record. Whenever a mail server receives an incoming message, they can use a domain’s SPF records to verify that the email was sent by a server that has permission to send email on behalf of that domain. If your email service provider sends out mail using its own domain, you don’t have to worry about setting up SPF records. If your email service provider sends out mail using your domain name or supports white labeling, then setting up appropriate SPF records for your domain is mandatory. While there’s a lot of technical jargon that surrounds SPF and other DNS verification tools, setting them up isn’t all that difficult. For example, I use SendGrid as my primary email service provider. In order to tell the world that SendGrid has permission to email on behalf of my domain name, I would need to use “v=spf1 include:sendgrid.net ~all” as my the text in my SPF record. The “include:sendgrid.net” indicates that SendGrid can send email on my behalf and the “~all” indicates that other sources claiming to be sending mail on behalf of my domain may not be trustworthy. To find the appropriate SPF record to use for your email service provider, simply do a web search for the name of your email service provider followed by “SPF.” Once you have identified the appropriate record, you will need to login to your domain name registrar and add the appropriate record. Many email service providers will walk you through this process as part of your initial setup with specific instructions and step-by-step guides. If that’s not the case, there are dozens of videos on YouTube which will show you how add SPF records to your domain. You can use a tool published by MX Toolbox to verify the placement of your SPF records, which is located at http://mxtoolbox.com/spf.aspx. DomainKeys Identified Mail (DKIM) is another email validation technology that verifies that a sender has permission to send email on behalf of a particular domain by that domain’s administrators. Additionally, DKIM allows messages to be individually signed using public key encryption which allows a recipient mail server to verify that a message has not been modified during transport. Any DKIM enabled email will include a digital signature that an email server can use along with a domain’s public DKIM encryption key to ensure the message that gets received is identical to the message that was originally sent. Like SPF records, DKIM records are placed in a domain’s DNS records. Most major email service providers sign their outgoing mail with DKIM, including Gmail, Outlook.com, Yahoo and AOL. If your email service provider uses its own domain name to send mail on your behalf, DKIM keys will already be set up without any work on your part. If your email service provider sends mail using your domain (sometimes known as white labeling), you should set up DKIM records in your domain’s DNS records to maximize email deliverability rates. Unlike SPF records which are usually the same for every user of an email service provider, DKIM keys must be generated on a per domain basis. You will need to get DKIM DNS records directly from your email service provider and copy them into your DNS records. You can use a separate tool published by MX Toolbox to verify the placement of DKIM records, which is located at http://mxtoolbox.com/dkim.aspx. Domain-based Message Authentication, Reporting, and Conformance (DMARC) is a newer protocol that builds upon the DKIM and SPF records that are used to detect mail spoofing. Placing a DMARC record in your domain tells mail providers that your domain is protected by SPF and DKIM authentications. DMARC records also provide instructions to mail servers telling how messages that can’t be properly authenticated should be handled. A domain owner can use a DMARC record to instruct mail service providers to put messages that fail authentication into a user’s junk mail folder or not to deliver them at all. In most cases, it’s probably not necessary to add DMARC records to your domain. While SPF and DKIM records validate that an email comes from your domain name, DMARC merely provides instructions regarding what to do with messages that can’t be authenticated. DMARC records probably won’t positively impact your email deliverability. DMARC records can also cause legitimate email to be rejected if they are not set up properly. When a subscriber first signs up for your mailing list, you may or may not require the subscriber to click on a link in a confirmation email to confirm that they want to subscribe to your mailing list. A mailing list that requires a subscriber to click-through on a confirmation is known as a double opt-in mailing list because users first opt-in on your website and then opt-in again through the link in your confirmation email. A mailing list that doesn’t send a confirmation email and simply adds new users to its subscriber list is known as single opt-in. Some email service providers (ESPs) require their customers to operate double opt-in mailing lists. They will not add a new subscriber to your mailing list unless they click a link in a confirmation email. Other ESPs are more flexible and allow you to choose between a single opt-in or a double opt-in. If your ESP requires a double opt-in, you don’t have much of a say in the matter. If you have a more flexible ESP, you will have to decide whether a single opt-in is sufficient or if you want to require a double opt-in. For many years, requiring a double opt-in was seen as a best practice for email marketers. By requiring a double opt-in, you know that every subscriber that signs up for your mailing list actually wants to receive messages from you because they have to click a link in a confirmation email that’s specific to their email account to verify they want your messages. There are also statistics that show that confirmed opt-in mailing lists receive better average open rates, fewer bounces and fewer issues with email deliverability, primarily because bad email addresses don’t get added to double opt-in mailing lists. With a single opt-in mailing list, a bad actor can easily subscribe other people to your mailing list by entering their email addresses into your opt-in forms. It’s also possible that people are inadvertently added to mailing lists when a new subscriber accidentally enters a typo into an opt-in form. These inadvertent opt-ins are pretty rare. Still, they have been used as a reason for some ESPs to require mailing list operators to require a double opt-in. During the last few years, the tide has been shifting among marketers to favor only a single opt-in. Single opt-in proponents argue that it’s not in the best interest of marketers to make it harder for subscribers to sign-up for their mailing lists. Opt-in confirmation rates have been falling during the last few years, which has led double opt-in mailing list operators to wonder if they are losing subscribers that would otherwise be engaged and interested in their content. Single opt-in mailing lists generally grow much faster than double opt-in mailing lists. While they might have lower open rates and higher bounce rates than double opt-in lists, they tend to have a higher total number of engaged subscribers. For more information about why marketers are moving away from requiring double opt-ins, read the blog post Double Opt-In Is Destroying Your List and Your Business (https://blog.afteroffers.com/double-opt-destroying-your-business/) on the AfterOffers blog. At MarketBeat, we do not require a double opt-in. We believe that we would lose too many subscribers before they have a chance to decide if they like our content if we required a double opt-in. Instead, we include a very prominent opt-out link in our welcome email. We also use data provided by our email service provider to automatically remove invalid and spam reporting email addresses from our mailing list. We use engagement metrics to automatically remove inactive subscribers. If we can’t confirm that a user has opened an email from us within the last 6 months, we remove them from our mailing list. Even though we don’t require a double opt-in, we maintain an average deliverability rate of 99.5% and an average open rate of 21% because we automatically clear out invalid and inactive email addresses from our mailing list. Major email providers, including Gmail, Outlook, Yahoo and AOL, are increasingly focused on how users are engaging with your messages to determine whether or not your messages will appear in your subscribers’ inboxes or their junk mail folders. If a user opens an email, replies to an email or clicks on a link in an email, an ISP knows that the user is engaged with the message and probably wanted to receive it. If a subscriber regularly deletes or simply ignores an email, it’s probably a spam message or another email that a subscriber didn’t want to receive. Email providers will look at the aggregate engagement data of all of their subscribers over time to determine the quality and relevance of email sent by a given domain name and IP address. For example, if you send an email to 1,000 people at a particular ISP and only five of them actually open your message, the ISP is likely to believe that their users probably don’t want your email and may put future email that you send to their users in their users’ spam folders. On the other hand, if you send an email to 1,000 people at an ISP and 400 of them open the message and click on a link in the email, the ISP will know that their users are engaged with your content and that future messages you send should be placed in their users’ inboxes. In order to maximize your email deliverability rates over time, you will want to try to write email in such a way that encourages users to be engaged with your content as measured by the metrics that mail providers use to track engagement—opens, clicks and replies. Use engaging subject lines to get users to open your email. Include several links in each email with a clear call-to-action. Most importantly, try to get users to periodically reply to your messages. You can do this by asking your subscribers for their feedback and having them provide their answers by replying to your messages. You should also actively remove invalid, inactive and spam-reporting email address from your mailing list in order to keep your engagement rates high. Remove users that report your messages as spam from your mailing list. They probably don’t want to receive your messages and receiving too many spam reports can jeopardize your relationship with your email service provider. If a subscriber’s email address gets returned as invalid (sometimes referred to as a hard bounce), you should remove their email address from your mailing list because they are never going to receive your message regardless of how many times you try. Finally, you should remove any subscriber from your mailing list that has not opened any of your messages within the last 12 months. Having extremely inactive subscribers on your mailing list will hurt your average engagement rates. Plus, it is not worth paying your email service provider to email subscribers that are never going to open your messages. The level of assistance that your email service provider will offer regarding email deliverability is generally proportional to the monthly fee that you are paying. As an enterprise customer of SendGrid, my dedicated sending IP addresses and my domains are automatically checked against blacklists on a daily basis. If they see any issues, they will automatically file a removal request on my behalf. I have a dedicated account representative that can personally intervene with any issues that I have and I will also receive email notifications if my email deliverability rate drops below a certain percentage so that I can take remedial action. While having additional delivery monitoring and blacklist remediation services are nice, they are usually only available to very high end customers that send hundreds of thousands of messages each month. If you are paying $25.00-$50.00 per month to your email service provider, you will need to take a more proactive role in the deliverability of your email by regularly monitoring your deliverability rates and checking for blacklist issues. The most important thing that you can do to ensure that your emails continue to make it into your subscribers’ inboxes over the long term is to proactively monitor for issues on a regular basis. Your domain name or the IP address that sends your email can be added to a blacklist at any date and time without any kind of notice. For this reason, it’s important to set up a weekly or bi-weekly plan to verify that your messages are getting properly delivered to your subscribers’ inboxes. Review Statistics Provided by Your ESP – Your email service provider will provide delivery statistics for each email that you send. Review the statistics for all of the emails that you sent in the last week. If your average bounce rate increases by one percent or more or if your average delivery rates fall by one percent or more, your domain or sending IP address may have been added to a blacklist. Use MultiRBL to Check for Blacklist Issues – MultiRBL (multirbl.valli.org) can check to see if your domain name or the IP address that sends your email against 224 known blacklists. There are several other online tools that check for blacklists, but MultiRBL is by far the most comprehensive. If your ISP has assigned you a dedicated IP address, you will need to check both your domain name and the IP address assigned by your ESP for delivery issues. If you don’t have a dedicated IP address, you will only need to check your domain name against MultiRBL because your ESP will automatically monitor their shared IP addresses for blacklist issues. Note that smaller ESP service plans generally do not include a dedicated IP address. Review Your Recent Bounced Messages – Your ESP should provide a log of recent bounced messages along with a message from the recipient’s email server as to why the message couldn’t be properly delivered. You should scan through this list every week to identify any potential blacklist issues. If you see a similar error message appear several times in a row, you should take the time to identify and address the issue. If you find that your delivery rates are dropping, your bounced messages log will usually help you identify the root cause. Check Your Sender Score (Optional) – SenderScore (senderscore.org) compiles a massive amount of email data from ISPS and other mail providers. Their free reporting tool can warn you about a number of email deliverability issues relating to your sending IP address, such as spam reports, blacklists and spam traps. If you haven’t received a dedicated IP address from your email service provider, you can skip this step. Check for Email Provider Specific Issues (Optional) – Consider creating a new account with Gmail, Outlook.com, Yahoo and AOL for the sole purpose of subscribing to your mailing list to see if any messages show up in your spam folder. If you regularly see that messages sent to a certain email provider are showing up in a spam folder, you probably have an email deliverability issue that needs to be addressed. If you want to automate this process, you can use a service called MailMonitor (mailmonitorapp.com) which will tell you whether or not you have any email deliverability issues with specific ISPs and email providers. At $79.00 per month, MailMonitor is probably only worth paying for if you have a list of 25,000 subscribers or more. Place a recurring note in your calendar on the same day every week to check for email deliverability issues. The process only takes five minutes, but can be easy to forget if you don’t set a calendar reminder. If you have a large mailing list, you are going to inevitably land on some blacklist or another. There are hundreds of blacklists that are maintained on the web and each has its own specific set of guidelines that can cause your domain name or sending IP address to be blacklisted. Invariably, too many users will click a “report spam” button or you will send too many bounced messages and your domain or IP will get added to a blacklist. When this happens, don’t let it ruin your day. Most blacklists are only used by a very small number of email services and it’s usually pretty easy to get yourself removed from blacklists. In order to get yourself removed from a blacklist, you typically need to complete a short form on the blacklist operator’s website. You can usually find the link to the removal form in your log of recent bounced messages or through MultiRBL’s blacklist scanner. If you can’t find the link to the removal form or can’t seem to get yourself removed from a blacklist, email your email service provider’s support address and ask for help. Sometimes an ESP can get your domain or sending IP address removed from a blacklist when you cannot get the job done. Most ISPs and other mail providers include a “report spam” link that allow their users to mark an email as spam. When a user clicks that button, the message will be moved into the user’s spam folder and your ESP will be notified of the spam complaint. Your email service provider will want you to maintain a spam complaint rate of less than 0.1%. That means for every 10,000 emails you send, you should receive at most 10 spam complaints. If your complaint rate is consistently higher than 0.1%, your email service provider may intervene and ask you to make changes to your sending practices to get your complaint rate below 0.1%. They may even shut down your account, which would cause a major email deliverability issue. In order to keep your complaint rate below 0.1%, you should make the process to unsubscribe from your mailing list as easy as possible. Make sure that there is a link to unsubscribe from your mailing list in every email and make sure that your unsubscribe link works properly. If your complaint rate is high, you can reduce the number of spam complaints you receive by placing an unsubscribe link in both the header and the footer of your email. If supported by your email service provider, add an unsubscribe header which will allow email providers to add their own unsubscribe button near the “Report Spam” button. An unsubscribe header is a hidden field in an email that provides technical instructions relating to how a subscriber can request to be removed from your mailing list. Using an unsubscribe header is quickly becoming a best practice and can help you avoid many spam complaints. To learn how to implement an unsubscribe header, visit www.list-unsubscribe.com. Whenever you are getting ready to send a broadcast email to your mailing list, you should check the message for any potential issues by using your email service provider’s spam check tool. If your ESP does not provide a spam checking tool, there are a number of free services including Mail Tester (www.mailtester.com) and Contactology’s Spam Checker (www.info.contactology.com/check-mqs). These tools will serve as an early warning system and let you know if there is any questionable content or formatting in your messages that are likely to set off a spam filter and harm email deliverability. For example, messages that promise users that they can make a lot of money or messages that reference erectile dysfunction medications are almost always spam. Spam filters know this and will filter them out accordingly. If you inadvertently put too many dollar signs in your email or make a joke about Viagra, spam checking tools will warn you that the content in your email may be an issue before you press the send button. When sending a broadcast email message to your audience, you may be naturally inclined to send it immediately after you finish writing it regardless of time or day. However, there are specific days of the week and times of day that you can send a message in order to maximize the number of people that see and open your message, which over time will affect your email deliverability rates. Many email marketers believe that Tuesday’s, Wednesday’s and Thursday’s are the best days of the week to send email. Your subscribers are generally at work on those days and will be actively checking their email. During the weekend, your subscribers are less likely to be at their computers and are less likely to open messages. If you send an email on a Saturday morning and a subscriber doesn’t check their messages until Monday morning, your message may be buried below 100 other emails that they received. You will want to do your own testing to verify which days of the week work best for your mailing list. I have personally had great engagement rates by sending email on Saturday and Sunday mornings when subscribers aren’t receiving much other marketing email. If possible, try to send your messages at the beginning of the work day (around 8:00 AM) or toward the end of the work day (around 4:00 PM) when your subscribers are more likely to be checking their email. If supported by your ESP, segment your mailing list by time zone so that your subscribers will receive your message at 8:00 AM or 4:00 PM in their local time. At MarketBeat, we don’t have the capability to segment by time zone, so we generally send messages at 9:00 AM Eastern Time so that most of the United States will receive our messages at or near the beginning of the work day. In 2014, Gmail began separating its user’s inboxes into three separate tabs. In addition to a user’s primary inbox, messages from social networking sites are getting put into their own tab and messages that Gmail considers to be marketing material are sent into a tab called “Promotions.” Because users don’t see emails that are put into the promotions tab by default, some email marketers have noticed that their open rates among Gmail users have declined significantly after this change was rolled out. Some email marketers have panicked over this change because they fear they are going to lose sales due to lower open rates and because they believe their messages are unfairly landing in the promotions tab. While Gmail’s multiple tabs are a concern for email marketers, there are a couple of proven ways that marketers can get their messages back in user’s primary inboxes. The first thing that you can do is send an email to your Gmail subscribers and ask them to drag your message from the “promotions” tab to the “primary” tab so they won’t miss out on any of the great content that you plan on sending them. You might also want to include a quick YouTube video that shows people how to move an email from their “promotions” tab to their “primary” tab to make the process dead simple. The second thing that you can do to get back in your subscribers’ “primary” tab is to get them to reply to your messages. If a subscriber replies to your messages, Gmail will be more likely to believe that your messages are important and will put you in the subscriber’s “primary” tab. The best way to ask users to reply to you is in your welcome message. Simply include a short message like “Could you reply to this message to let me know that you’ve received it? I want to make sure that there aren’t any issues with your subscription” in your first welcome email. While not everyone will reply, many of your subscribers will. Gmail and other email providers will continue to evolve their email interfaces over time. Don’t panic when a major email service provider changes how email is presented to their subscribers. Marketers always find ways to adapt to new features and interface changes that get introduced by email providers. While it can be easy to get overwhelmed by the technical components of email deliverability, you don’t have to become an email deliverability expert overnight. Many email deliverability issues won’t surface until you have built a large subscriber list and you begin to send a lot of email. Follow the basic monitoring recommendations outlined in this chapter and you’ll know right away if there’s a problem that needs to be addressed. There are a number of resources available, such as SendGrid’s Deliverability Guide (http://go.sendgrid.com/rs/sendgrid/images/SendGrid_Deliverability_Guide.pdf), which can help you learn about the intricacies of email deliverability and help you solve any deliverability issues you run into. If you can’t figure out how to fix an email deliverability issue on your own, your ESP can always step in to help too. Set up appropriate SPF, DKIM and DMARC records if required by your ESP. Decide whether or not you want to require a single opt-in or a double opt-in. This article is an unedited version of a chapter from my new book, Email Marketing Demystified. 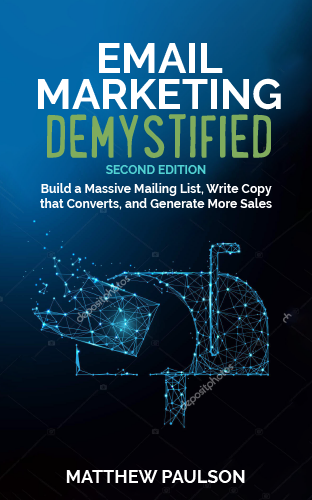 To get your copy of Email Marketing Demystified, visit www.myemailmarketingbook.com.